Vancouver, BC (July 9, 2014) – The new fibre-optic ELITE certification of AGC, addresses the growing green-technology demand in Canada for the design, build and expansion of POL networks. 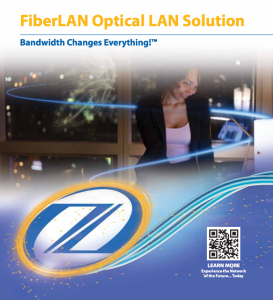 With a mandate to grow industry awareness within the natural resource, education, tourism, hospitality, healthcare, retail, business, government and entertainment sectors in Western Canada, while showcasing the company’s tactical expertise, AGC has aligned with Zhone Technologies and its FiberLAN brand. This elevated expertise will support the growing demand for greener technologies (i.e., POL – Passive Optical LAN) in BC, Western Canada and beyond. To achieve the recent certification, the AGC team collaborated with Zhone via numerous online training seminars in early 2014 and on-site exams in Oakland, California USA. The global company, Zhone Technologies, “Bandwidth Changes EverythingTM”, recently formed an alliance with AGC to provide Zhone with greater access to Canadian markets. This association will ensure the rigid guidelines regarding green fibre-optic products and quality assured POL solutions of Zhone are strictly adhered to via ongoing training, strategic services and 24/7 support for The Axis Group of Companies. AXIS Systems Group (ASG) specializes in the integration of Passive Optical LAN (POL) through the replacement of a building’s legacy copper wiring infrastructure and typical communication rooms, thus eliminating the need for cooling systems, multiple distribution closets and related power. ASG also installs solutions to decrease the need for troubleshooting and to maximize time management. Therefore, one of the key advantages of the POL solution is the acceleration, with fewer human resources, of the building’s/company’s productivity. With numerous other POL benefits ranging from streamlining operational costs to eco-friendliness, the innovative fibre optic cable and equipment solution provides legacy and modern buildings with the newest technologies available with virtually unlimited bandwidth. AGC – The AXIS Group of Companies, comprised of Axis Technical Services (Est. 2005 and ranked BC’s 5th Fastest Growing Company in 2008, and 98th in 2012) and Axis Systems Group (Est. 2013), credits ongoing success in part, to its long-term association with BICSI – Building Industry Consulting Service International. AGC are dynamic teams of industry experts and accredited personnel, providing integrated and scalable solutions to the communications infrastructure community in Canada. AGC specializes in a full range of project capabilities including POL, Fibre Optic Installations, Structured Cabling, Data Centres, Wireless Infrastructure, Security Systems, Audio Visual and PA Systems. As seen in 24-7, Wire Service Canada and Online PR.